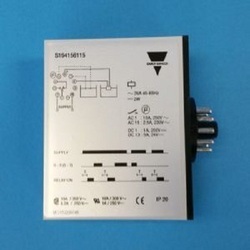 A switched-mode power supply (switching-mode power supply, SMPS, or simply switcher) manufactured by Carlo Gavazzi is an electronic power supply that incorporates a switching regulator in order to be highly efficient in the conversion of electrical power. Like other types of power supplies, an SMPS transfers power from a source like the electrical power grid to a load (e.g., a personal computer) while converting voltage and current characteristics. 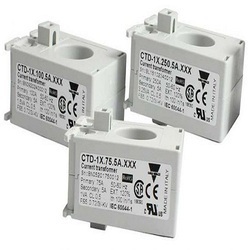 Carlo Gavazzi's patented Tripleshield Capacitive Sensors have become the standard all other manufacturers are measured against. All Tripleshield sensors are tested to withstand electrostatic discharges up to 40 KV, line transients up to 4 KV, and airborne noise (ie. cellular phones) up to 15 V/m. Furthermore, some models have built-in humidity compensation. 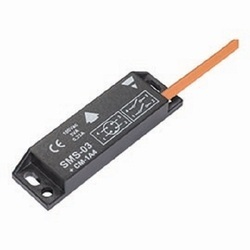 Capacitive sensors will detect most materials - conductive and non-conductive. This makes them ideal for level detection in raw plastic delivery systems and in agricultural applications. 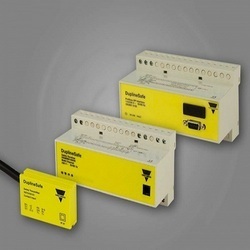 1) Carlo Gavazzi offers a comprehensive range of Solid State Relays (SSR’s) featuring direct copper bonding technology for increased life and reliability. 2) SSR’s are used extensively in the plastics, packaging, food processing, and HVAC industries - primarily for temperature control. 3) Other applications include lighting and pump switching. 4) Many of our relays feature horsepower ratings, that make them suitable for controlling motorized dampers in HVAC control systems. 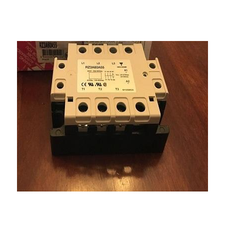 5) In these particular systems, our relays are the ideal replacements for mechanical contactors, because of their long life and noise-free switching. Furthermore, we also offer a complete range of SSR's with a built-in heatsink. 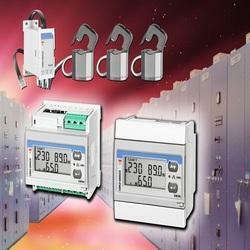 We are an authorized distributor for Carlo Gavazzi. 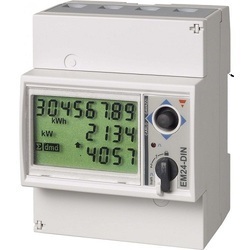 We are dealing many products in building automation like energy meters, power analyzers, current transformer, double 3-phase energy meter, etc. 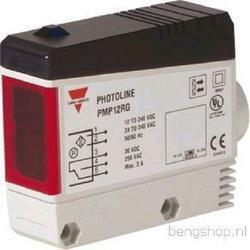 We are the Suppliers, Traders, Importers, Exporters, Distributors Of Carlo Gavazzi made by Photoelectric Through Beam Sensor. It is a through beam sensor set specially designed for Elevators, Escalators, Entrance control to meet the requirements in the door market. The housing is very robust and is known for its high long-term reliability mute. The emitter has a mute input to turn it off for evaluation of the sensor function. 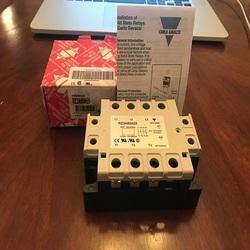 Available in 10-30 VDC version. It is a fiber optic amplifier made specific for glass fibers up to 250° C. The sensor is microprocessor based and has a manual distance set-up by keyboard. NO or NC (light or dark mode) output are selectable by wiring. The sensor output is built as a Push-pull output that performs both an NPN and PNP output which is fully protected against short-circuit, transients and wrong polarity. 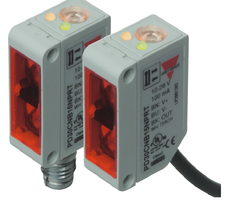 Carlo Gavazzi’s Series Ultrasonic Sensors are designed for both distance measurement and object detection in tough environments. Discrete output types are available for presence and absence detection, and are ideally suited for detecting objects, such as transparent objects, that cannot be reliably detected by other sensors. The Windows version also allows settings to be saved and downloaded to multiple devices. 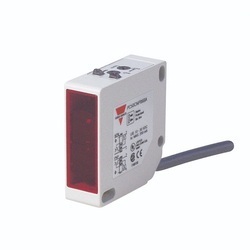 We are the suppliers, Traders, Importers, Exporters, Dealers & Distributors of Photoelectric Level Sensor made by Carlo gavazzi. · Higher resistance to magnetic field. 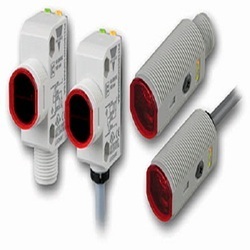 We are the suppliers, Exporters, Importers, Traders, dealers & Distributors of Photoelectric Colour Sensor On India Mart. The Colour Sensor is a fibre optic amplifier made specifically for recognition of 1 or 1 to 4 colours. The teaching of the colours is easily performed by means of the “Teach-in” function. Each colour has a separate output which can be delayed up to 5 sec by means of the built-in timer. The output function can also be programmed to be either NO or NC. The colour sensor is used for detection of coloured labels, marks, tags, wires, liquids, etc. 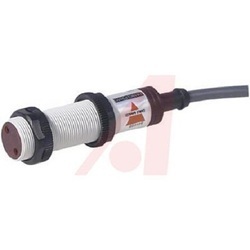 We are involved in offering Photoelectric Sensors. These are used for detecting the presence of any object through light transmitters. Also, these are used for sensing longer distances, or where the object to be sensed is non-metal. Carlo Gavazzi offers a comprehensive range of Solid State Relays (SSR’s) featuring direct copper bonding technology for increased life and reliability. SSR’s are used extensively in the plastics, packaging, food processing, and HVAC industries - primarily for temperature control. Other applications include lighting and pump switching. 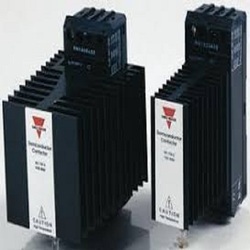 Many of our relays feature horsepower ratings, that make them suitable for controlling motorized dampers in HVAC control systems. 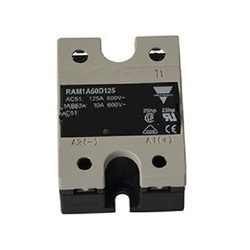 In these particular systems, our relays are the ideal replacements for mechanical contactors, because of their long life and noise-free switching. 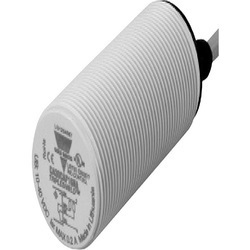 Furthermore, we also offer a complete range of SSR's with a built-in heatsink. Applications The Dupline® irrigation bus reduces installation costs and increases flexibility in agricultural irrigation systems, where the valves are usually distributed over a large area. Any type of Irrigation Controller, whether it is a PLC, PC or Dedicated Controller, can use Dupline® as a remote I/O system. 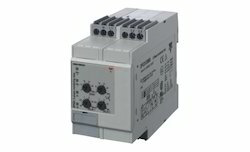 The module is available in a housing that allows underground installation, and in a DIN-rail mount housing. The wiring topology is completely free with no limitation in number and length of branches. One Hi-Line network can handle up to 64 valves over distances up to 7km, and several networks can be linked together. 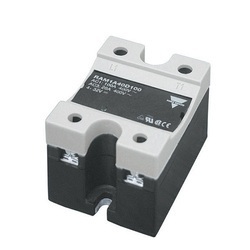 We are the Suppliers, Importers, Exporters, Traders, dealers & distributors of Carlo gavazzi Make Solid State Relay. 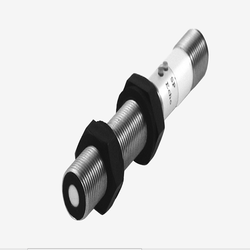 This sensors are suitable for applications where gear speed-taking is requested. They do not need power supply but they place two connectorized output poles at user disposal. Every time the ferromagnetic actuator moves in proximity of the sensor head, a voltage pulse is produced at the pole terminals. Carlo Gavazzi offers a comprehensive range of digital panel meters and digital displays (current meters, ammeters, voltmeters, frequency meters, temperature meters and temperature controllers, tachometers, and rate meters) for the OEM, Panel Builder, Instrumentation and MRO customer. 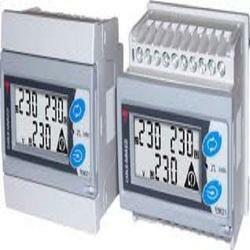 Covering most input types, our digital panel meters are well suited for your display requirements. Environmental sensors CGES series by Carlo Gavazzi are designed to measure environmental parameters as CO2, humidity, temperature and air velocity. Main market applications are Hvac and building automation. Wind sensors are designed for measuring in a wide variety of applications including wind turbines, cranes, weather stations, green houses. 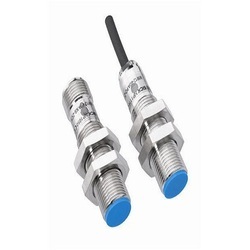 • Output: 100 mA, NPN or PNP, N.O & N.C.
Price may vary as per application/specification and quantity..
We are the suppliers , Dristributors, traders , Importer, Exporters of Carlo gavazzi Make Inductive Sensor. 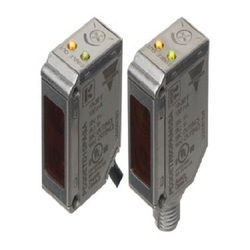 Carlo Gavazzi offers a comprehensive range of Inductive Sensors - primarily used to detect metal parts and objects. These sensors are used extensively in packaging and plastics machines, assembly lines and conveyor systems. They are available in a wide variety of styles and feature both digital (SCR, transistor) and analogue outputs. Carlo Gavazzi offers inductive sensors in cylindrical housings (from 4mm to 30 mm) with both standard and extended sensing distance and in a flat-pack housing. 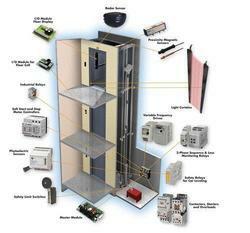 Applications Carlo Gavazzi's modular concept for Home and Building automation. This system is based on a patented digital bus, the two-wire Dupline® and controls and monitors applications such as lighting, roller blinds, heating, air-conditioning and alarms. This innovative system allows considerable savings in energy consumption, increasing the comfort and safety. Operation, service and maintenance are simplified, with complete status overview anytime and anywhere. 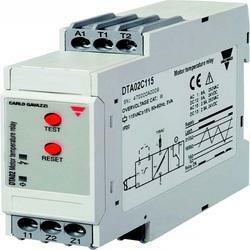 It can also be interfaced to any building automation system via BACnet/IP. 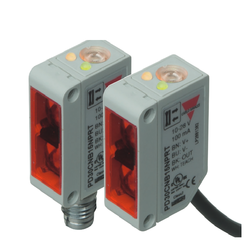 Carlo Gavazzi offers a large range of Photoelectric Sensors which are used extensively on packaging machinery, automatic door systems, and plenty of industrial applications. Our sensors are available in diffuse reflective, background suppression, reto-reflective, polarized, through beam, clear object detection, and colour recognition. 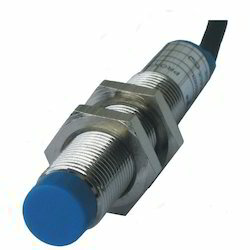 We also offer a range of fibre-optic type sensors for applications where a conventional sensor cannot be used (space restrictions, temperature, atmosphere) Our range include VP series optical types (ideal for use in level applications). They are available in different housing materials which allow their use in various industrial cleaning solutions. 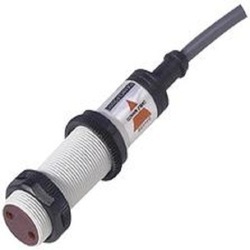 We are the suppliers, Exporters, Importers, Traders ,dealers & Distributors of Photoelectric Colour Sensor On India Mart. 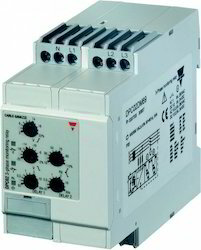 Carlo Gavazzi's range of safety modules includes modules for light curtains, safety mats, two hand control (anti-tie down device), magnetic and safety switches, and emergency stop. 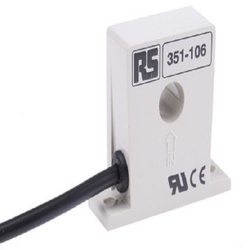 They are available with up to 3 force guided relay safety outputs and are suitable for use in applications up to category 4. We also offer extension modules which are used in conjunction with our safety modules and allow you to increase the number of safety outputs. Our safety modules feature cUL and TUV approvals. 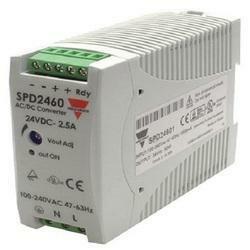 Our modules are powered by 24 VAC/DC, 110 VAC, or 230 VAC and feature LED status indicators. It has been carried out in close cooperation with TUV Rheinland Group. Dupline Safe offers a flexible and easy-to-wire solution complying with EN954- 1 Cat 4, and at the same time, the fast and precise diagnostic feature reduces the plant downtime. Big advantages can be achieved using bus communication in safety-related systems. The immediate indication of causes for production stops enables significant downtime reduction, especially on large machines and plants. Note Price may vary as per application/specification and quantity. 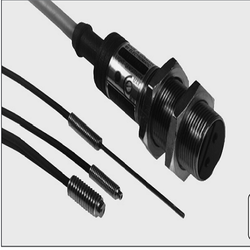 We are offering Photoelectric Sensor to our client and our product is made of good quality. 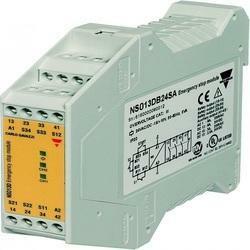 Looking for Carlo Gavazzi ?